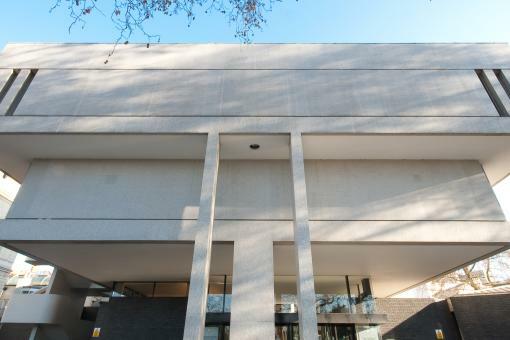 Situated on the east entrance of Regent's Park with easy access to central London, the Royal College of Physicians' Grade I listed HQ houses a museum, library, seminar and lecture halls, meeting rooms, curated gardens and banquet suite. We aim to be welcoming and accessible to all and are continually updating and improving our provisions for diverse visitors. To arrange a visit and discuss your access requirements, please contact us via email at reception@rcplondon.ac.uk, or by telephoning +44 (0)20 3075 1200 or +44 (0)20 3075 1363. The RCP is outside the congestion charge zone. We have limited car parking spaces available for members and fellows, which are available to book in advance. On-street parking is available in Regent's Park and there is a pre-bookable car parking facility close to the venue. The RCP has free car parking for disabled visitors. To make arrangements please phone us on +44 (0)20 3075 1200 or +44 (0)20 3075 1363 in advance of arrival. Unfortunately, spaces cannot be guaranteed to visitors who do not book in advance. For your security, we ask all visitors to RCP London (including members and fellows) to book in at reception and collect a visitor pass. These passes are for visual identification only. Members and fellows can request permanent building access passes. Temporary building access passes (swipe cards) can only be signed out if pre-booked through a current member of RCP staff. Admission to our museum and gardens is free. On arrival please sign in at our reception desk where you will be given directions and details of available rooms and exhibitions, as well as a free multimedia museum visitor guide packed with information about RCP history and architecture. Facilities: A cloakroom is available. We don't have a café, however there are many cafés, pubs and restaurants within a 5–10 minute walk in Regent's Park (the refreshments you might see around the building are for pre-booked event delegates only). Groups: Groups of six or more can visit the RCP but they must be led by one of our authorised guides. Please contact us at history@rcplondon.ac.uk to make arrangements.